Club Atlético de Madrid (Spanish pronunciation: [ˈkluβ atˈletiko ðe maˈðɾið]), commonly referred to as Atlético Madrid, Atlético de Madrid or simply as Atlético or Atleti, is a Spanish professional football club based in Madrid, that play in La Liga. The club play their home games at the Wanda Metropolitano, which has a capacity of 68,000. In terms of league titles won, most recently in 2014, Atlético Madrid are the third most successful club in Spanish football – behind Real Madrid and Barcelona. Atlético have won La Liga on 10 occasions, including a league and cup double in 1996; the Copa del Rey on 10 occasions; two Supercopas de España and one Copa Eva Duarte; in Europe, they won the European Cup Winners' Cup in 1962, were runners-up in 1963 and 1986, were Champions League runners-up in 1974, 2014 and 2016, won the Europa League in 2010, 2012 and 2018, and won the UEFA Super Cup in 2010, 2012 and 2018 as well as the 1974 Intercontinental Cup. The club was founded on 26 April 1903 as Athletic Club Sucursal de Madrid by three Basque students living in Madrid. These founders saw the new club as a youth branch of their childhood team, Athletic Bilbao who they had just seen win the 1903 Copa del Rey Final in the city. In 1904, they were joined by dissident members of Real Madrid. The side began playing in blue and white halved shirts, the then colours of Athletic Bilbao, but by 1911, both the Bilbao and Madrid teams were playing in their current colours of red and white stripes. Some believe the change came about because red and white striped tops were the cheapest to make, as the same combination was used to make ticking for mattresses, and the unused cloth was easily converted into football shirts. This contributed to the club's nickname, Los Colchoneros. However, another explanation is that both Athletic Bilbao and Athletic Madrid used to buy Blackburn Rovers' blue and white kits in England. 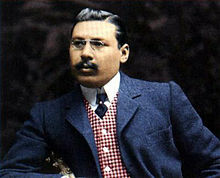 In late 1909, Juanito Elorduy, a former player and member of the board of Athletic Madrid, went to England to buy kits for both teams but failed to find Blackburn kits to purchase; he instead bought the red and white shirts of Southampton (the club from the port city which was his embarkation point back to Spain). Athletic Madrid adopted the red and white shirt, leading to them being known as Los Rojiblancos, but opted to keep their existing blue shorts whereas the Bilbao team switched to new black shorts. Athletic Bilbao won the 1911 Copa del Rey Final using several 'borrowed' players from Athletic Madrid, including Manolón [es] who scored one of their goals. During the 1920s, Athletic won the Campeonato del Centro three times and were Copa del Rey runners-up in 1921, where they faced parent club Athletic Bilbao, as they would again in 1926. Based on these successes, in 1928 they were invited to join the Primera División of the inaugural La Liga played the following year. 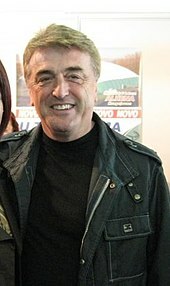 During their debut La Liga campaign, the club were managed by Fred Pentland, but after two seasons they were relegated to Segunda División. They briefly returned to La Liga in 1934 but were relegated again in 1936 after Josep Samitier took over in mid-season from Pentland. The Spanish Civil War gave Los Colchoneros a reprieve, as Real Oviedo was unable to play due to the destruction of their stadium during the bombings. Thus, both La Liga and Athletic's relegation were postponed, the latter by winning a playoff against Osasuna, champion of the Segunda División tournament. By 1939, when La Liga had resumed, Athletic had merged with Aviación Nacional of Zaragoza to become Athletic Aviación de Madrid. Aviación Nacional had been founded in 1939 by members of the Spanish Air Force. They had been promised a place in the Primera División for the 1939–40 season, only to be denied by the RFEF. As a compromise, this club merged with Athletic, whose squad had lost eight players during the Civil War. The team were awarded a place in the 1939–40 La Liga campaign only as a replacement for Real Oviedo. 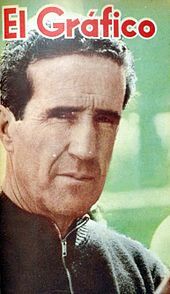 With the legendary Ricardo Zamora as manager, the club subsequently won their first La Liga title that season and retained the title in 1941. The most influential and charismatic player of these years was the captain Germán Gómez, who was signed from Racing de Santander in 1939. He played eight consecutive seasons for the Rojiblancos until the 1947–48 campaign. From his central midfield position, he formed a legendary midfield alongside Machín and Ramón Gabilondo. In 1941, a decree issued by Francisco Franco banned teams from using foreign names and the club became Atlético Aviación de Madrid. In 1947, the club decided to drop the military association from its name and settled on its current name of Club Atlético de Madrid. The same year saw Atlético beat Real Madrid 5–0 at the Metropolitano, their biggest win over their cross-town rivals to date. 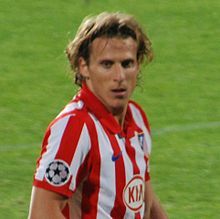 Diego Forlán scored 32 La Liga goals for Atlético in 2008–09, making him the top scorer in Spain and Europe. Simeone led Atlético to their second Europa League win in the three years since its creation, as they beat Athletic Bilbao 3–0 in the final on 9 May 2012 in Bucharest with Radamel Falcao – twice – and Diego being the scorers. Again, by winning the Europa League, they qualified for the 2012 UEFA Super Cup against Chelsea, winner of the previous season's Champions League, which was played in Monaco on 31 August 2012; Atlético won 4–1, including a hat-trick by Falcao in the first half. 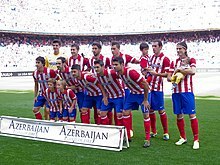 On 17 May 2013, Atlético beat Real Madrid 2–1 in the Copa del Rey Final in a tense match where both teams finished with 10 men. This ended a 14-year and 25-match winless streak in the Madrid derby. The 2012–13 season saw the club finish with three trophies in a little over a year. On 17 May 2014, a 1–1 draw at the Camp Nou against Barcelona secured the La Liga title for Atlético, their first since 1996, and the first title since 2003–04 not won by Barcelona or Real Madrid. One week later, Atlético faced city rivals Real Madrid in their first Champions League final since 1974, and the first played between two sides from the same city. They took a first-half lead through Diego Godín and led until the third minute of injury time, when Sergio Ramos scored an equaliser from a corner; the match went to extra time, and Real ultimately won 4–1. Atlético reached a second Champions League final in three seasons in 2015–16, again facing Real Madrid, and lost on penalties after a 1–1 draw. In 2018, they won their third Europa League title in nine years by beating Marseille 3–0 in the final, and also won another UEFA Super Cup after beating Real Madrid 4–2 at the outset of the following season. Real Madrid and Atlético Madrid are clubs with contrasting identities and different fates. While Real Madrid's Santiago Bernabéu Stadium proudly rises on Paseo de la Castellana in the wealthy Chamartín neighbourhood of northern Madrid, Atlético's former stadium, the less glamorous Vicente Calderón Stadium, stood in the south of Madrid, in the working class barrio of Arganzuela. Historically, Real Madrid have long been seen as the establishment club. On the other side, Atlético Madrid were always characterized by a sentimiento de rebeldía, a sense of rebellion, although during the early Francisco Franco years, it was Atlético that was the preferred team of the regime. They were associated with the military airforce (renamed Atlético Aviación), until the regime's preferences moved towards Real Madrid in the 1950s. Atlético has played at the European stage regularly since its 1958–59 European Cup debut, subsequently entering the UEFA Cup Winners' Cup (1961–62), the Inter-Cities Fairs Cup (1963–64), the UEFA Cup (1971–72) and the UEFA Super Cup (2009–10). Starting with the 1999–00 relegation Atlético did not qualify for European competitions for seven years, but from the 2007–08 season, it has taken part in either the Champions League or the UEFA Europa League every year, enjoying success in both competitions. The club played their home games at the 54,990 seat Estadio Vicente Calderón in southern Madrid until 2017. Before this, the club played originally at the Ronda de Vallecas until 1923. After the completion of the Estadio Metropolitano de Madrid in 1923, the club moved there until the Vicente Calderón was finished in 1966. The club now plays in the renovated Wanda Metropolitano, which was expanded from a 20,000 seat capacity to 68,000 after it was used for Madrid's failed bid to host the 2016 Summer Olympics. The Vicente Calderón will be demolished, and replaced by a waterfront park at the banks of the Manzanares River in Madrid. Atlético also runs a sports academy at the Ciudad Deportiva del Nuevo Cerro del Espino in Majadahonda. The club also runs an Academy in Bucharest, Romania, its first in Europe. Celebrities Joaquín Sabina, Will Smith, Belén Esteban, Leiva, Álvaro Bautista, Dani Martin, Ana Rosa Quintana, Javier Bardem, Sara Carbonero, Pablo Iglesias Turrión, El Langui, Pedro Sánchez, Luis de Guindos, Rosendo Mercado, José Tomás, Cayetano Martínez de Irujo David Muñoz, Tom Cruise, Matt Damon and Karl-Anthony Towns are all fans of the club. Atlético is also supported by King Felipe VI, who became Honorary President of the club in 2003. ^ "Wanda Metropolitano (Estadio Olimpico de la Peineta)". Stadium DB.com. ^ a b "Israeli Billionaire Idan Ofer Makes Progress in Bid to Buy Stake in Atletico Madrid Soccer Club". Haaretz. 16 November 2017. Retrieved 1 February 2018. ^ Welch, Ben (17 November 2017). "Israeli billionaire Idan Ofer buys share of Spanish football giants Atlético Madrid". The JC. Retrieved 1 February 2018. ^ Hazani, Golan (17 November 2017). "Israeli Business Magnate Buys a 15% Stake in Atlético Madrid". CTECH. Retrieved 1 February 2018. ^ "1973/74: Müller ends Bayern wait". UEFA. Archived from the original on 11 October 2010. Retrieved 7 November 2010. ^ "Real Madrid vs Atlético Madrid Derby: Great Local Football Derbies". Eurorivals. Retrieved 20 November 2010. ^ "Atletico de Madrid are ditching their ISL franchise partnership with Atletico de Kolkata". TFG team. Retrieved 11 July 2017. ^ a b c "Classic club". FIFA. Archived from the original on 6 September 2011. Retrieved 20 November 2010. ^ "Atletico Madrid History". Atleticomadrid.azplayers. Archived from the original on 7 July 2011. Retrieved 20 November 2010. ^ "Blackburn Rovers". Historical Football Kits. Retrieved 10 October 2018. ^ "The Atlético Crest and its Meaning – The Offside – Atlético Madrid Spanish La Liga Football Blog". Atletico.theoffside. Archived from the original on 3 November 2010. Retrieved 20 November 2010. ^ "Southampton". Historical Football Kits. Retrieved 10 October 2018. ^ "Athletic-Atlético, historia de dos parientes" [Athletic-Atlético, history of two relatives]. ABC (in Spanish). 8 May 2012. Retrieved 10 October 2018. ^ Agiriano, Jon (6 January 2010). "Los Colores del Siglo" [The colours of the century]. El Correo (in Spanish). Retrieved 15 October 2018. ^ "Athletic de Madrid 1910-11". Equipos de Fútbol (Football Teams) (in Spanish). 13 July 2016. Retrieved 10 October 2018. ^ "Manuel Garnica, the "Saint" who scored a goal with Athletic" [Manuel Garnica, el “Santo” que metió un gol con el Athletic]. Memorias del Fútbol Vasco (Memories of Basque Football) (in Spanish). 30 March 2014. Retrieved 10 October 2018. ^ "Talking History: Atlético Madrid – This Is Anfield (Liverpool FC)". Thisisanfield. 2010-04-26. Retrieved 20 November 2010. ^ "El Estadio". Club Atlético De Madrid (in Spanish). 2007. Archived from the original on 25 May 2012. Retrieved 20 November 2010. ^ "La Liga History – Football League". Ole Ole. 6 April 2009. Archived from the original on 6 March 2012. Retrieved 20 November 2010. ^ Real Madrid Vs. Atletico Madrid Archived 14 November 2018 at the Wayback Machine. Realatletico.com. Retrieved 20 November 2010. ^ "1958/59: Di Stéfano keeps Madrid rolling on". Uefa.com. UEFA Champions League. 3 June 1959. Archived from the original on 1 May 2013. Retrieved 20 November 2010. ^ "UEFA Cup Winners' Cup". Uefa.com. 1 June 1962. Archived from the original on 4 September 2015. Retrieved 20 November 2010. ^ "UEFA Cup Winners' Cup". Uefa.com. 1 June 1963. Archived from the original on 12 January 2016. Retrieved 20 November 2010. ^ "1973/74: Müller ends Bayern wait –". Uefa.com. 15 May 1974. Retrieved 2013-03-08. ^ a b "1973/74: Müller ends Bayern wait on". Uefa.com. UEFA Champions League. 15 May 1974. Archived from the original on 11 October 2010. Retrieved 20 November 2010. ^ a b "Intercontinental Cup 1974". FIFA.com. Archived from the original on 4 December 2009. Retrieved 20 November 2010. ^ "UEFA Cup Winners' Cup". Uefa.com. 1 June 1986. Archived from the original on 21 August 2010. Retrieved 20 November 2010. ^ "Atletico owner Gil dies". BBC News. 14 May 2004. ^ Lowe, Sid (3 November 2009). "Are 'madhouse' Atlético Madrid the worst run club in Europe?". The Guardian. London. ^ Lowe, Sid (18 April 2010). "Atlético Madrid can put end to glory of suffering in Liverpool semi". The Guardian. London. ^ "Fernando Torres Career". Torres Soccer Profiles. Archived from the original on 9 January 2011. Retrieved 20 November 2010. ^ a b Torres cuts short holiday, set to join Liverpool Soccernet.espn.go.com (3 July 2007). Retrieved 20 November 2010. ^ Austin, Simon (22 October 2008). "New and improved Forlan to test Liverpool". BBC News. ^ "Reyes passes Atletico Madrid medical". Goal. 30 July 2007. Archived from the original on 30 September 2007. ^ Javier Aguirre Walks Away From Atletico. TheOriginalWinger.com (3 February 2009). Retrieved 20 November 2010. ^ Spanish Football News (4 February 2009). "Abel Resino: Atletico Madrid job dream come true". Tribal Football. Archived from the original on 7 February 2009. Retrieved 20 November 2010. ^ "Man United flop Forlan bags second Euro Golden Shoe after netting 32 times in La Liga". Daily Mail. London. 31 May 2009. ^ Fletcher, Paul (21 October 2009). "Chelsea 4–0 Atletico Madrid". BBC Sport. Retrieved 13 May 2010. ^ "Atletico Madrid sack coach Resino". BBC Sport. 23 October 2009. Archived from the original on 26 October 2009. Retrieved 24 October 2009. ^ "Quique to Atletico Madrid". La Liga Weekly. 23 October 2009. Archived from the original on 30 October 2009. Retrieved 20 November 2010. ^ "Quique Sánchez Flores to be manager at Atlético de Madrid". Typically Spanish. 24 October 2009. Archived from the original on 1 March 2012. Retrieved 20 November 2010. ^ "Atletico Madrid coach Quique Sanchez Flores hails players' resolve against Fulham". The Daily Telegraph. London. 13 May 2010. ^ Ornstein, David (29 April 2010). "Liverpool 2 – 1 Atletico Madrid (agg 2 – 2)". BBC Sport. Archived from the original on 12 May 2010. Retrieved 13 May 2010. ^ "Late winner breaks Fulham hearts". ESPNsoccernet. 12 May 2010. Archived from the original on 18 May 2010. Retrieved 13 May 2010. ^ Winter, Henry (12 May 2010). "Fulham 1 Atlético Madrid 2 aet: match report". The Daily Telegraph. HSH Nordbank Arena, Hamburg: Telegraph Media Group. Archived from the original on 15 May 2010. Retrieved 12 May 2010. ^ Wilson, Jonathan (9 May 2012). "Atlético Madrid 3–0 Athletic Bilbao". The Guardian. London. ^ "Atl. Madrid 3–0 Athletic Bilbao: EL champs". Goal.com. 9 May 2012. Retrieved 2013-03-08. ^ "Atletico Madrid upsets Real Madrid to win Copa del Rey". The Associated Press. 17 May 2013. ^ "Football: Atletico stun 10-man Real Madrid to win Spanish Cup". Channel News Asia. Singapore. 17 May 2013. Archived from the original on 7 June 2013. ^ "Real Madrid beat Atletico Madrid on penalties". BBC Sport. Retrieved 28 May 2016. ^ "Simply the best – all-time greats final selection", Telegraph, 29 December 2000. ^ a b "Evolution 1929–10". Liga de Fútbol Profesional. Archived from the original on 20 July 2011. Retrieved 6 August 2010. ^ "Palmarés en" (in Spanish). MARCA. Retrieved 22 June 2010. ^ Carnicero, José; Torre, Raúl; Ferrer, Carles Lozano (28 August 2009). "Spain – List of Super Cup Finals". Rec.Sport.Soccer Statistics Foundation (RSSSF). Retrieved 22 June 2010. ^ "List of Super Cup Finals". RSSF. Retrieved 18 March 2011. ^ "UEFA Cup Winners' Cup". UEFA. Archived from the original on 1 May 2010. Retrieved 22 June 2010. ^ "Atlético, campeón de la Europa League: Todas las reacciones de los protagonistas". Marca (in Spanish). Unidad Editorial Información Deportiva, S.L.U. 16 May 2018. Retrieved 16 May 2018. ^ "UEFA Super Cup". UEFA. Archived from the original on 20 August 2010. Retrieved 22 June 2010. ^ "Primer Equipo" [First team] (in Spanish). Atlético Madrid. Retrieved 3 February 2016. ^ "Club Atlético de Madrid - Effectif". uefa.com. ^ "Club Atlético de Madrid SAD - Plantilla". laliga.es. ^ AS, Diario (10 May 2011). "Gil Marín no quiso vender sus acciones del Atlético - Más Fútbol - AS.com". ^ Madrid.es. "Ayuntamiento de Madrid – El Calderón se va al nuevo Estadio olímpico". Madrid.es. Retrieved 20 November 2012. ^ "Atletico Madrid to move to new stadium". 15 December 2008. Archived from the original on 9 March 2009. ^ "Training Complex". Club Atlético de Madrid. 2007. Archived from the original on 8 July 2011. Retrieved 20 November 2010. ^ Chirileasa, Andrei (20 June 2014). "Spanish club Atletico Madrid to open football academy in Bucharest, its first in Europe". Romania-Insider.com. Retrieved 16 May 2017. ^ "Do you know who Atlético Madrid's real sponsor is? – Reporters without borders". 2014-05-22. ^ Images, Altered (9 May 2014). "Atletico Madrid: Azerbaijan logo edited out of Iran paper (altered images)". BBC News – via www.bbc.co.uk. ^ "Football sponsors and their marketing strategy". Footballspeak.com. Archived from the original on 16 January 2013. Retrieved 8 March 2013. ^ "Baku 2015 secures exposure through Atletico Madrid partnership". 25 November 2013. ^ "Atlético Madrid park up with Hyundai". ^ "Usain Bolt, Will Smith, Sara Cabonero and other famous fans of Athletico & Real Madrid". Goal.com. 2016-05-24. Retrieved 19 May 2018. ^ "Champions League Final: 10 celebrities who will be supporting Atletico Madrid on Saturday". Marca. 26 May 2016. Retrieved 19 May 2018. ^ EP (2 April 2013). "El Príncipe Felipe, Presidente de Honor del Centenario". AS (in Spanish). Retrieved 18 May 2018. ^ Burt, Jason (21 September 2017). "Diego Costa transfer agreed from Chelsea to Atletico Madrid for £57m". The Daily Telegraph. Telegraph Media Group Limited. Retrieved 18 May 2018. ^ Astiazarán Iriondo, José Luís (30 June 2010). "Clubes Liga BBVA" (PDF). In Roca Pérez, Francisco; del Campo Colás, Carlos; Tebas Medrano, Javier; Sepulcre Coves, José. Memoria de la Liga de Fútbol Profesional. Liga de Fútbol Profesional. Liga BBVA. p. 60. ^ Sánchez, Fernando (17 August 2016). "Enrique Collar, el primer niño rojiblanco". La Vida en Rojiblanco (in Spanish). Elegant Themes. Retrieved 25 May 2018. ^ EFE (14 February 2004). "Tomás, de capitán del Atlético en la 'era Gil' a alcalde de Marbella". Ideal (in Spanish). Retrieved 25 May 2018. ^ Redacción (18 May 2018). "Otro éxito para una pareja de época". Revista el Balón (in Spanish). Archived from the original on 26 May 2018. Retrieved 25 May 2018. ^ Rincón, Jaime (16 May 2018). "The title Fernando Torres deserved". Marca. Unidad Editorial Información Deportiva, S.L.U. Retrieved 18 May 2018. ^ "Koke surpasses Quique Ramos and Alberto Fernández". Atlético de Madrid. 5 April 2018. Retrieved 25 May 2018. ^ "Luis Aragonés, 50 años dedicados al fútbol". AS (in Spanish). 1 February 2014. Retrieved 25 May 2018. ^ "Torres, Luis Aragonés y los máximos goleadores de la historia del Atlético". Goal.com (in Spanish). 15 April 2018. Retrieved 21 May 2018. ^ EFE (7 March 2011). "Fallece Adrián Escudero, máximo goleador del Atlético de Madrid en la Liga". Cadena SER (in Spanish). Retrieved 21 May 2018. ^ Moraleda, Andrés (17 November 2016). "Qué fue de… Paco Campos, el pichichi de los derbis". Latido a Latido (in Spanish). Archived from the original on 22 May 2018. Retrieved 21 May 2018. ^ EFE (8 February 2016). "Gárate, homenajeado por el Eibar 'por defender sus valores'". Diario AS (in Spanish). Retrieved 21 May 2018. 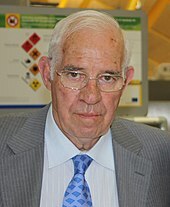 ^ Vela, José Luís (3 July 2015). "Adelardo, el motor rojiblanco". Cadena Ser (in Spanish). Retrieved 21 May 2018.